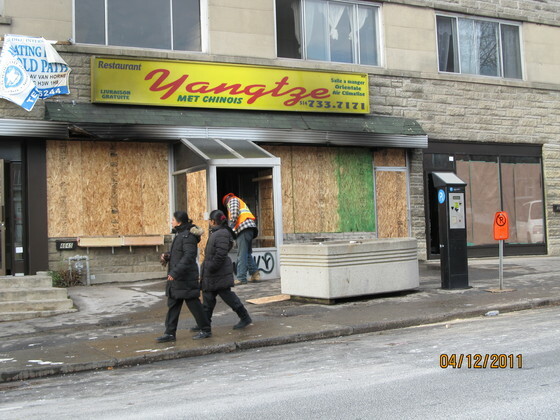 The legendary Yangtze Chinese Restaurant on Van Horne Avenue in Montreal, which was destroyed by fire on December 3, will rise from the ashes. Mel Leitman of Cavendish Business Consultants has confirmed to me that owner Marco Yau plans to rebuild. That will take several months, so here is the really big news! 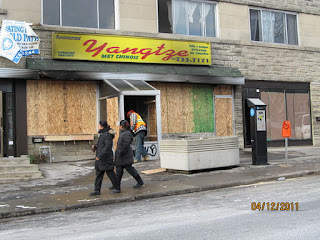 Yau has purchased the Tchang Kiang Chinese Restaurant at 6066 Sherbrooke Street West in NDG. It closed last July after 35 years in business. Yau will rename it Tchang Kiang by Yangtze and hopes to have it fully operational before January 1. New menus are being ordered and the entire Yangtze staff – chefs, waiters and drivers- will move over to the new location, which seats about 75 people. The complete Yangtze original menu will be available, as well as all of the popular choices from Tchang Kiang. When the original restaurant is restored, they will operate at two different locales. Do this sound like a chain in the making? Joe Lipkowicz snapped this shot after the fire. 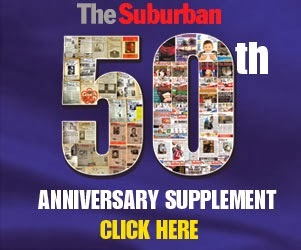 Last Sunday night I posted an item about the fire on my Suburban blog. It resulted in the most significant response to any other blog entry, with people writing to me and leaving comments from around the world. It is absolutely remarkable what a following the Yangtze has. I expect there to be quite a buzz about the new location. Leitman, by the way, would love to hear your suggestions. He can be reached at cavbizconsultants@gmail.com. Artist Carole Spandau's beautiful drawing of the original restaurant's facade. Regarding the above painting, I contacted Carole Spandau who explained: "I painted it when they had the elaborate original marquee. That particular marquee was something that I as an artist was compelled to paint. The uniqueness of its design, the powerful warm colors and the overall towering effect it had on the Van Horne landscape was irresistible to me as a painter. I have painted it many times since and I do miss being able to sketch it from life in all its splendour and glory. That's why we artists are drawn to record the passing face of our city..". 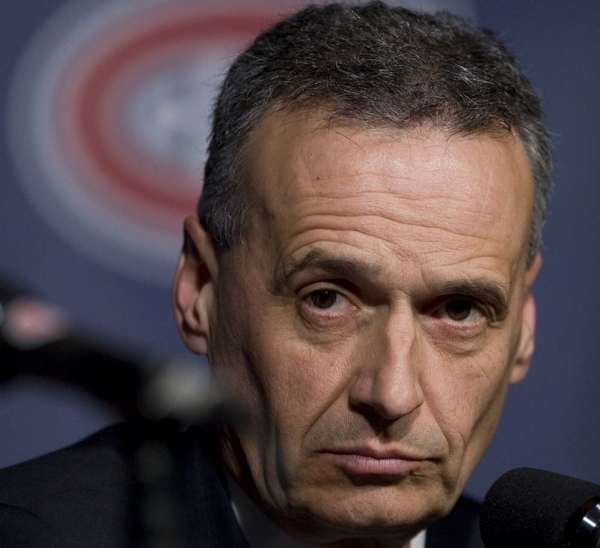 Let me begin this note by saying that prior to today I had never met Montreal Canadiens General Manager Pierre Gauthier in person..
Am I fan of his? I can hardly say so given the financial hole he has placed the Habs in. As the then assistant to Bob Gainey three years ago, it was Gauthier who reportedly engineered the horrible acquisition of $.7.3 million a year bust Scott Gomez. Last summer he handed injured defenceman Andre Markov a three year $17.5 million contract. On Friday he traded for $4.25 million a year defenceman Tomas Kaberle, who did have two assists in Montreal's 2-1 victory over New Jersey today. The problem is Kaberle has more than two more years left on his contract, meaning there will not be enough room in the salary cap world next summer to resign Josh Gorges while giving Cary Price and PK Subban the substantial raises the deserve. So there I was tonight at Chapter's downtown putting some magazines back on the rack. As I turned to my right, a gentleman who looked very familiar was doing some reading of his own. 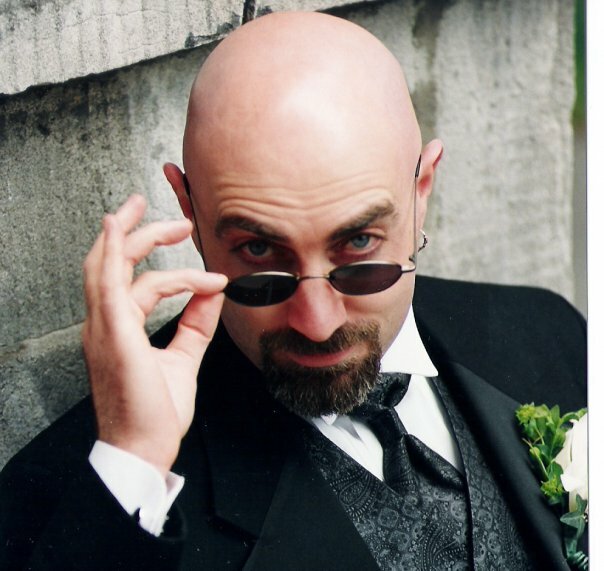 I looked closely and it was Pierre Gauthier. His wife and kids live in Burlington, Vermont and he commutes, staying in a downtown apartment while in Montreal. "Kaberle had a good game today," I stated, looking right at him. "Oh well," he responded, "it's only one game. But he had a good game." At that moment I realized how surreal this was, especially on a day when this letter by me was published in the Montreal Gazette sports section, calling for Gauthier's dismissal. I wonder when I will bump into Habs owner Geoff Molson. Les Productions BronCon presented a sensational Forever Broadway cabaret-style revue at a packed Rialto Theatre on Sunday, December 4. The nine energetic performers - Chris Barillaro, Katia Di Perna, Jonathan Patterson, Alexey Aldas, Mathieu Courcy, Jonathan Roumain, Bonnie Jordan, Safiya Ricketts, Mila Thé and Lorie Sacdalan – were a pleasure to watch. Artistic Director ConnieRotella and Artistic Director Bronwen Lloyd Hughes must be commended for their excellent work. These two dynamos are the ones behind the highly popular Musical Showoff competition. Connie has been dancing professionally for over 15 years and participated in various movies, TV shows, TV series, commercials and telethons while Bronwen is an experienced performer with thousands of hours on stage, combined with over 500 hours of both live and pre-recorded television. Forever Broadway was yet another success story under the roof of the revitalized Rialto Theatre and its new owners, the husband and wife team of Ezio Carosiella and Luisa Sassano who have the place hopping. 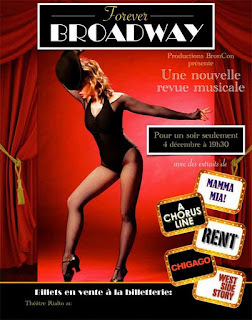 The show (see the video above) included numbers from Cabaret, Chicago, Singing in the Rain, A Chorus Line, Miss Saigon, West Side Story, Rent, Guys and Dolls, Wizard of Oz, Dirty Dancing, City of Angels and Mamma Mia. I would humbly suggest that if Connie and Bronwen decide to do this again they consider holding a full week of shows. There is an audience out there clamoring for musical productions of this calibre in Montreal! 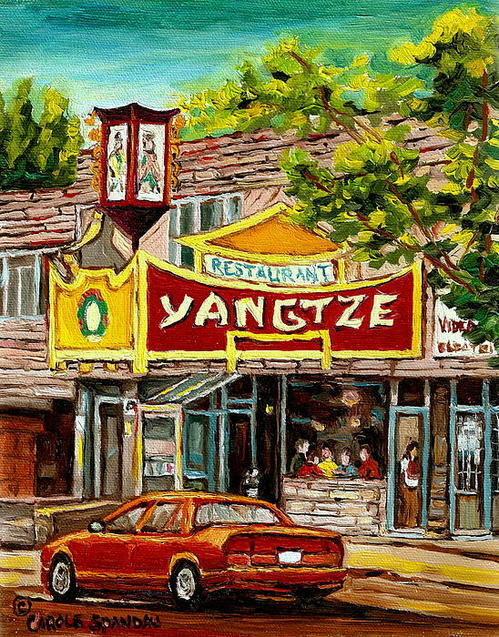 I think I was a toddler when my parents first brought me to eat at the Yangtze Restaurant on Van Horne, just above Victoria. It has been part of my life ever since, serving up some of the best egg rolls, pineapple chicken, spare ribs and crispy beef this side of Decarie. My friends and I have often joked how this was the best Jewish restaurant in town, for on a given night 90 percent of the clientele seemed to be from the Jewish community. I was always amazed how the waiter could take an order for a group of 10, not mark anything down and get everything right. As he walked to the kitchen, someone would always yell out, "No MSG please!" Well, I am sad to share the news sent to me via longtime traffic and emergency reporter Rick Leckner that the Yangtze went up in flames just after midnight on December 4. It was a third alarm fire and when I drove by tonight it was all boarded up. Will the owners rebuild? I have to imagine so. We will have to wait to see how extensive the damage was. 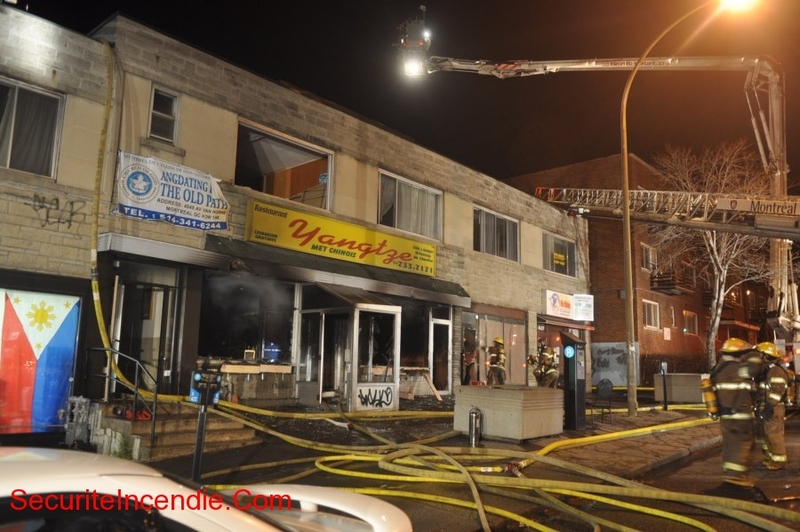 The photo below is courtesy of Securiteincendie.com. See the updated version with news of a relocation.